An empath’s environment is like “emotional satellite radio” with surround sound and hundreds of channels. Your nervous system surfs the dial constantly, flipping from station to station to listen to others’ emotional broadcasts. These information-processing demands can catapult your nervous system into overdrive, which reinforces anxiety, depression, and chronic stress. Empaths pick up on other’s emotions and even their direct inner experience so rapidly that it’s hard to indentify what’s happened. As a result, a large part of your anxiety, depression, chronic pain, and immune issues can belong not to you, but to someone else. And just like your nervous system and physical body, your emotional body and immune system struggle with boundaries. They have difficulty discerning what’s you and what’s not. This leaves you vulnerable to emotional issues like anxiety, depression, and chronic stress, as well as auto-immune illnesses such as allergies, lupus, or fibromyalgia. On top of that, the incessant electronic requests of e-mail and social media and mainstream media can overload and add to this exhaustion. Empaths often ask me, with great sincerity, “This gift is a curse, how do I get rid of this?” Their poignant request reflects the cost they pay, in time and effort, to achieve a measure of balance. But being an empath is like having a tattoo: the imprint is there for life, no matter what you may do to change it. These practices aren’t a time-limited, do-it-for-three-months-and-all-will-be-well kind of program. Rather, they’re a lifelong journey of self-discovery. But it needn’t be a life sentence. Having a daily empath-balancing practice improves our relationship with ourselves. It juices our creative process. It improves emotional regulation. It deepens our work life, and enhances our physical health. Lest you think this is a “chick thing,” there are male empaths, too. It’s just that the process of natural selection draws empathic males underground more quickly than it does their female counterparts because sensitivity, empathy, and attunement to others are considered “feminine” traits. Male empaths can be ostracized for these qualities, and learn to bury them from sight. I’ve had many male empaths tell me, “I take on other people’s experiences all the time. I have a huge amount of anxiety and depression, and it’s hard to know what’s mine and what’s someone else’s. But when I talk about it to my friends, they tell me to quit being “such a girl”, “I cry during sad movies. Everyone comes to me for advice. I can’t stand seeing people in pain. I stick up for the underdog. I’m always there for everyone, but when I need someone, I’m left on my own.” Male empaths are the most misunderstood human healer on this planet. Male empaths need the same kind of body-based support that female ones require. 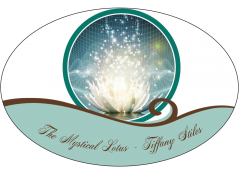 During the Holidays this can be an especially difficult time for Empaths and Earth Angels, male and female, as we feel the sadness of the collective. Many people are more often depressed, agitated and suicidal during the Holidays than joyful, which can make an Empath want to crawl in bed and stay there until after January 1st. Just the mere thought of having to deal with family members during Holiday get-togethers who you have distanced yourself from during the rest of the year can throw an Empath into an anxiety attack mode who has not mastered this gift and the transmuting power that comes along with it. Know that this time of the year is no different than any other. Boundaries are a necessity for Empaths to survive and be healthy in mind, body and spirit. If you are invited to a family function or a party, and you know there will be others there whom you have distanced yourself from, it is okay to say, “No, thank you, I have other plans this year.” Be firm on it and don’t allow others to guilt trip you into changing your mind. Make other plans that WILL bring you joy, peace and happiness during the Holidays. If that means getting on a plane and flying to another destination with people you do enjoy being with, do it, and don’t feel guilty about it! You don’t owe anyone an explanation of your decision. 1.) Ground yourself with Earth before hand. 2.) Do a chakra clearing and balancing to balance and center yourself and your emotions. 3.) Deep breathing exercises, being cognizant of slowly inhaling through the nose, feeling your chest expand, hold for a few seconds and out to through the mouth slowly but firmly. Doing this exercise brings yourself immediately to the now moment of peace and rebalancing of your body and the calming of your nervous system. Take five deep breaths slowly in a row and you will feel yourself calm and balance in a matter of minutes. 4.) Shield your field only allowing unconditional love and healing to enter or exit this field, if you have not yet mastered how to transmute negative to positive, dark to Light. * Has your intuition kicked in and it says, this is not a good place to be, it’s not safe, leave now! * I feel something bad is about to happen, leave now! * This person is sad and suicidal. This is your queue to transmute the negative lower vibrational energies to positive by bringing the person into their higher self without you absorbing their pain or emotions. * Does this person need physical, emotional or spiritual healing? These are all part of the gifts Empaths are blessed with. You can heal without absorbing the other person’s illness by grounding, balancing and centering yourself prior to engaging in this practice. * Is someone trying to push your buttons and get you to react in a negative way? Know this is a typical trick of narcissist to lower your vibration so they can feed off of your energy field. You are left drained and they are left revitalized at your detriment. (“If you don’t add air to the fire it will suffocate and burn out.”) Walk away, don’t engage, leave the area, stay heart centered and balanced. Return kindness instead of engaging in anger or dispute. These are the most uncomfortable situations for an empath to deal with. It overwhelms the central nervous system and causes panic attacks where your body literally shakes. If you are pushed to an extreme, always stand up for yourself and be assertive in what you will accept or not accept. Be firm on your boundaries. If boundaries are crossed, remind the person they are overstepping their bounds, being disrespectful and it is not acceptable. Again, breathe and recenter and balance yourself. Remember to feel where that activation is concentrated in your body: often, for empaths, it’s the upper core or solar plexus area. Go somewhere quiet, the restroom or wherever you can gain a quiet space. Bring your hands to the solar plexus area and breathe deeply into it for several minutes. And if it’s still highly engaged, you’ll opt to practice a little longer until you hit your “reset button” and regain your emotional balance. Remember you are a powerful transmuter of negative energy when you become comfortable in this gift, when you become confident in using this gift and you have control over it, rather than it having control over you–you will begin to flourish in this gift and no longer see it as a curse to FEEL everything so deeply. When we learn to regulate our nervous system, create healthy boundaries in our body, and adjust the filter through which we evaluate direct experience, we become truly resilient. And instead of making ourselves small to fit the world around us, or to find a tribe where we belong, we learn to blossom on our own. This blossoming draws others to us. And an empath in full flower is an extraordinary thing to witness: vulnerable yet resilient, intuitive yet grounded, and deeply creative, expressive, and magnetic—but with a fully functioning sense of where and how these qualities balance. You will begin to feel the deep worth of daily empath practices mentioned above. You’ll find a simultaneous sense of yielding and resilience. You’ll feel a beautiful solidity, as though you’ve colored in your outlines. You’ll discover a newfound sense of your own intrinsic value in the world. And this will be matched by the joy that comes bubbling up from the core of of your mind, body and spirit. When you know a national Holiday is coming up, this is the time to not absorb, but to transmute the negative to positive. Be discerning of your emotions and feelings, constantly asking yourself is this me feeling this or someone else or the collective, unified field? It is a constant and daily practice used by highly functioning Empaths. Take time for yourself daily to recharge. Being in or around water is an Empaths life line to peace and calm within. Breathe, meditate and ground with Earth and follow the techniques listed above to bring you a sense of, “Ah ha, yes, I totally got this Holiday”, season or Anytime for that matter. “I am a transmuter, and healer and this is my purpose, my calling and my superpower!” I willingly accept this gift and use it for the higher good of humanity. Hold the vibration of unconditional love in your heart center. Remain heart centered and balanced. Love is the highest vibrational frequency you can hold and emit to another or the collective. Love transmutes all lower vibrational energies. When you emit this frequency and vibration your are raising and transmuting negative energy. Thank you darling this is what I needed in this moment. Many blessings.